Thanks for getting BOLDD off the ground and bringing it to the attention of FL teachers. BOLDD and ACTFL Innovate (see previous post by Tom Welch) are both examples of the growing grassroots movement called Open Education. I especially liked the following line from your post: “We experiment and interact, sometimes face-to-face, but more often using the very social media and electronic tools of our emergent, open access economy.” As FL teachers, we can’t implement Internet communication technologies in our classrooms if we don’t use them ourselves! And that is why we have started this blog, Open Up. We are trying to practice what we preach. See you at Calico! I totally agree with you, Carl. I have found repeatedly that one of the biggest impediments to teachers’ being able to implement communication technologies is our ‘teacherly’ self-image. We see ourselves as always having to be ‘in the know’. Where we don’t feel in control, we simply don’t dare go. 1. There is NO mastery of communication technologies: the rate of accelerating change is real (exponential according to some); no one will ever get a ‘handle’ on these wily devices. As a learning community, partnering with our students to explore new techs and new media, we can all move forward together. 2. Risk taking has been touted as a positive factor in language learning: so what behavior are teachers modeling when they won’t ‘dare’ introduce 21st century, innovative, communication devices and strategies? Hmmm. . . .
With all the energy of Open Up bloggers and BOLDD collective partners, the world is actually paying attention to the new landscape that Kathryn Murphy-Judy so aptly describes here. 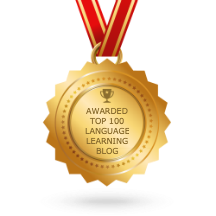 Google Docs, blogs and wikis are helping language educators steer this ship. I like the “Fast and Furious” metaphor, Kathryn, because it is really not far off the mark! There is a lot of sharing and forward thinking/doing here at NECTFL 2013 (Baltimore, MD, March 7-10), where I’m glad I’ve had a chance to chat with you, Laura. Last night I watched the video of the surfer who caught the 100 ft. wave off Portugal recently: THAT is an apt metaphor for the tech ‘wave’ in FLE. If we don’t ride it, well….